This month in the Kat Scrappiness shop, there are lots of new dies featuring a scalloped detail. I love scallops– so I thought I’d do a couple of projects and a video using the Stitched Scalloped Border Dies and the Stitched Scalloped Heart dies. For the first card, I die cut multiple pieces using the border dies and blended ink onto the panels. 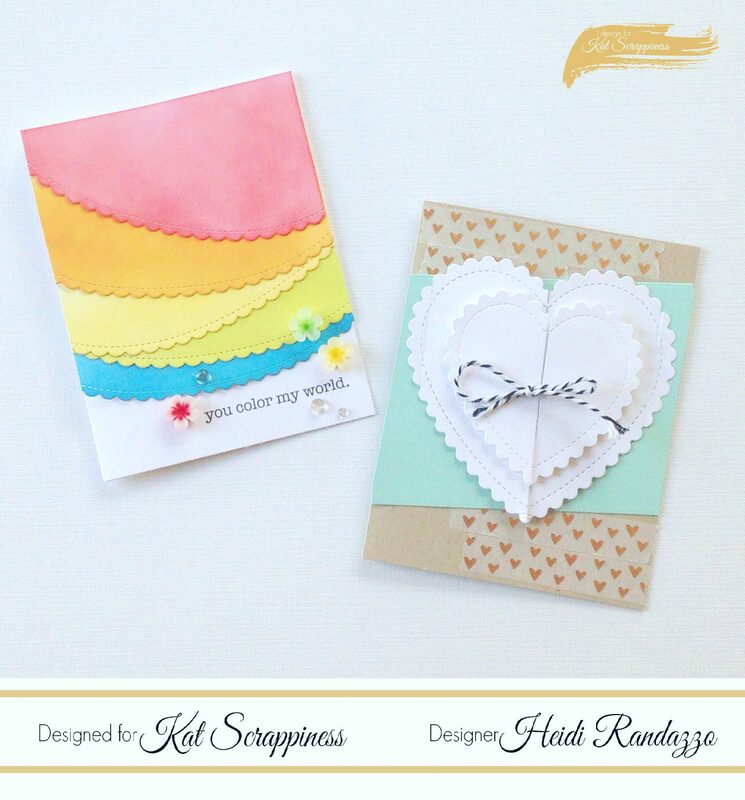 I adhered them in a “swooping” fashion down the front of my card for a pretty scalloped rainbow. For my second project, I created a cute window card layering the hearts. This card would be perfect to add to a little gift bag of chocolate……. I have a video below showing how these projects came together. This will be my last post for the Kat Scrappiness Design Team. It has been such a great year and I want to thank all of the talented ladies on the design team and Kat for all her encouragement and generosity. Best wishes and happy crafting!